As per the results of a survey conducted by global bank HSBC in 2014, Singapore was ranked as the world’s 2nd best and Asia’s best destinations for expats to live, work and raise their family. Nearly 62% of expatriates living in Singapore stated that they earn more in this country as compared to others. 66% said their quality of life is much better in Singapore in comparison to their native countries. 62% of the respondents (based in Singapore) agreed that it is one of the best places for their development, in terms of career. The survey also noted that migrants in Singapore make about 139,000 USD/year on an average. This figure is considerably higher in comparison to its global average, which is 97,000 USD. Also, nearly 60% of migrants in Singapore get health allowances. It is more than the global standard of 51%, as well. In addition, it is quite easy and safe to transfer money overseas from Singapore via a reliable instant remittance operator like InstaReM and many others. This is how expats in Singapore feel about the country, when it comes to balancing work and life. Because of all these things, Singapore has made it to the top position for the past 2 years. What are the pros of living in Singapore as an expat? As already discussed, migrants in Singapore earn about $139,000 per year on an average, which is 43% higher than its global counterparts. Nearly 60% of expats feel that Singapore offers better job prospects in comparison to other countries. As far as the local economy is concerned, expatriates in Singapore are quite confident about the same. Also, 88% of them are happy with its current economic state. In regard to career prospects, 6 out of 10 migrants working in Singapore think that it is a good platform for making advances in their career. Nearly 58% expats believe that, it is a good choice for starting a business. This figure again exceeds the global average of 38%. 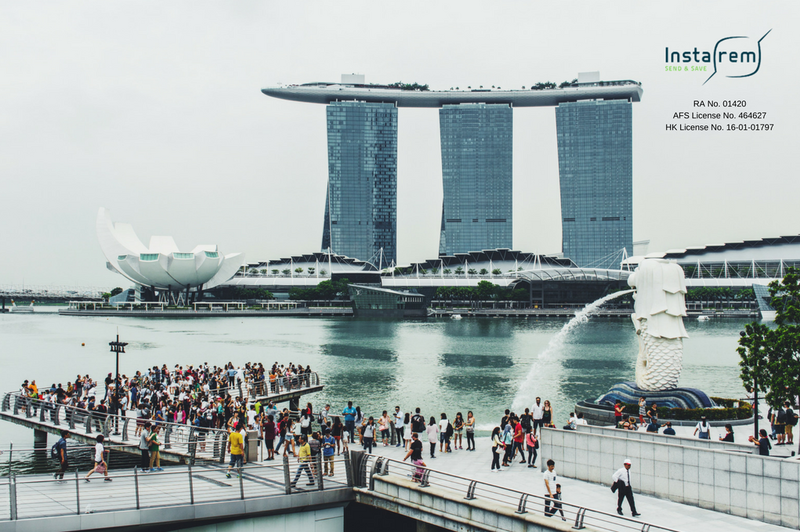 All these things make Singapore the ‘best’ destination for expats in Asia. In spite of all these positive aspects about Singapore, if you are still worried about sending money to your native country, you can take a sigh of great relief. With instant remittance service providers like InstaReM, the cheaper alternative to send money within Asia, you can do the same easily without hurting your financial plans. Leave all tensions behind and focus on the main objective(s) of your life.